"Simple and easy to understand with lots of little interesting details" You can attend this photography course from anywhere in the world and yet get personal critique and tutorial from Thorsten Overgaard. This replaces my 2010 extension course that was on waiting list for a couplel of years. Redesigned from 120 pages to 330 pages it's a treat to work with. 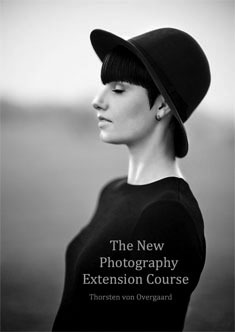 This is the right course for anybody to start with, especially if you are about to get a new camera or just got one. Each student works individually why you can work fast or slow and even go on holiday between sections. The course starts as soon as you have signed up and paid.